to do is play playstation. I love playing games on the computer too. 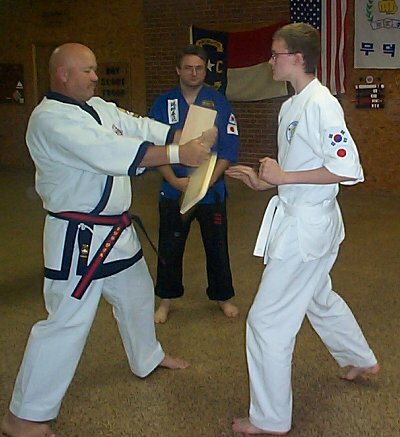 Here are some pictures that were taken at the seminar on Nov. 4th, 2000.
and 3rd place in kata. 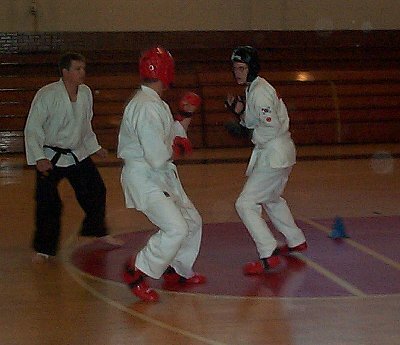 Below is the picture taken during my sparring match. and 1st place overall. Below is the picture taken with my Super belt. In May, 2002 we had a seminar at our dojo with the great Royce Gracie. I was awarded my blue belt in Jui-Jitsu. Below is a picture of me rolling with Royce Gracie. 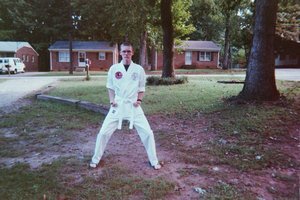 In January, 2003 we had a Jui-Jitsu tournament in Charlotte, NC. meet a lot of great champions.